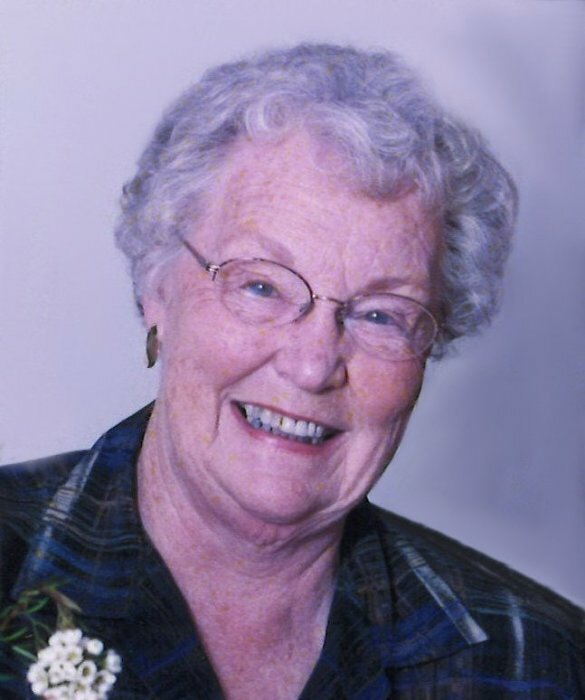 Maurine Kathryne (Stump) Anderson loved and served God in her everyday life. She was a strong positive lady who lived life to the fullest, laughed often, gave to others, and loved her family unconditionally. Maurine devoted her life to serving others and giving back to the community through several years of volunteer services. She was recognized with Honors for 30 Years delivering Meals on Wheels. Maurine was a loyal active member of the First Christian Church, teaching Women’s Bible Study groups for over 30 years and an active member of the Hamilton County Homemakers. As a loyal lifelong member of the Alpha Chi Omega Sorority, Maurine founded the Maurine Stump Anderson Sister Assistance Fund to financially assist daughters of single mothers within Alpha Chi Omega. For Maurine and Bob Anderson’s lifetime dedication and service within the Noblesville community, they were presented the Community Service Award. Maurine loved being involved in giving to others, but most of all she cherished being a wife, mother, grandmother and great-grandmother. Maurine was born in Lafayette, Indiana to Mary Kathryne (Page) Stump. After attending Purdue University, she married her childhood friend and college sweetheart, Robert “Bob” E. Anderson. They met at a Sunday night church youth group; their Christian Faith was the foundation for their marriage and life together. Bob and Maurine married on June 7, 1952 and gratefully celebrated 66 years together. Maurine was the solid rock in the family to encourage, support and praise her husband and children. Maurine passed away on March 26, 2019 at 86 years. She left a legacy of giving here on earth that will continue to touch lives for many years. We take great comfort knowing we will see Maurine again in Heaven, as her last words were, “I’ll be waiting at the gate for you”. As she would say after a meal “keep your fork for dessert, the best is yet to come.” She is now holding the fork - the best is yet to come. Maurine Kathryne Anderson is survived by her loving husband and lifelong partner, Robert “Bob” E. Anderson; and three daughters, Sara Kathryne Anderson of Modoc, IN, Gretchen Perigo (Dann) of The Villages, FL, and Charlotte Carr (Gary) of Wabash, IN. Maurine was blessed with six grandchildren, Ben Davis, Luke Gunn, Mary Kathryne “Kate” Skelley, Levi Perigo, Kevin Carr and Dustin Carr; and six great-grandchildren, Jackson and Audrey Davis, Cambryn and Josie Perigo, and Archer and Eleanor Carr. Services will be held at 11:00 am on Monday, April 1, 2019 at First Christian Church of Noblesville, 16377 Herriman Blvd. in Noblesville, with visitation from 9:30 am to the time of service. Dr. Richard Bailey and Rev. Cheryl Russell will officiate. Burial will be at Tippecanoe Memory Gardens in West Lafayette, Indiana. Randall & Roberts Funeral Homes of Noblesville has been entrusted with Maurine's care. In lieu of flowers, please make memorial contributions to Prevail Inc., 1100 South 9th Street, Suite 100 Noblesville, IN 46060.